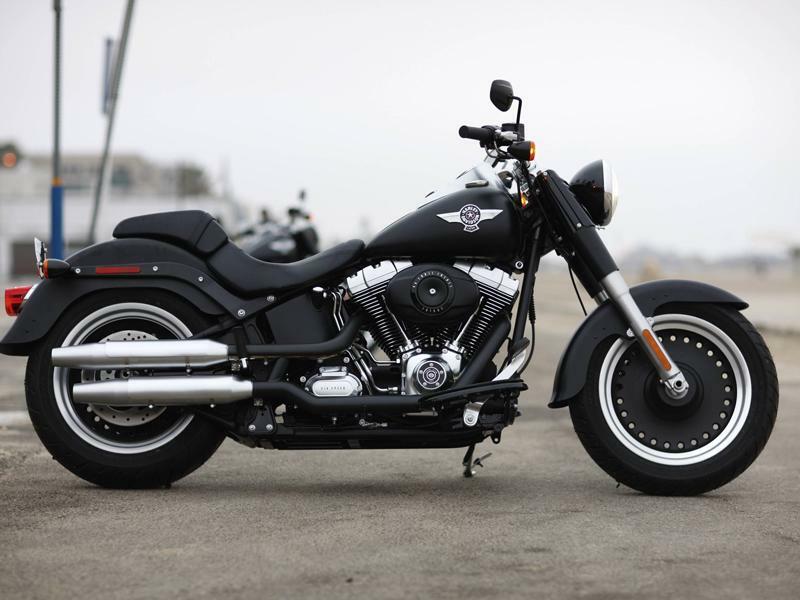 Harley Davidson Fat Boy Special is the new improved version of Fat Boy which is known for its stylish and trendy looks. Read the review to explore the features, technical specifications & price. The stylish and classy Fat Boy Special carries the looks and features of Fat Boy elegantly with more modern day appeal but without losing its previous charm. 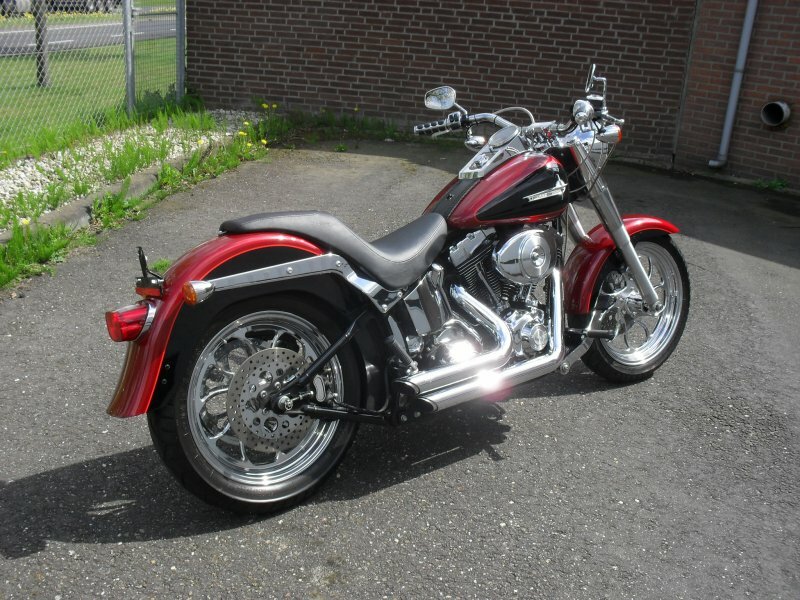 As the name suggest the bike is known for its fat look which it retains in its older model also. The major attractive feature of this special cruiser is its reshaped seating position which is lowest in height among all Harley Davidson. So the girls who love to ride Harley Davidson have a great choice with this bike. Fat Boy Special is packed with a powerful 1690 CC, air cooled, twin cam 103B engine. Providing the maximum torque of 132 Nm at 3250 rpm, the engine offers a great performance. The Electronic Sequential Port Fuel Injection (ESPI) used in the design of the engine is one of the plus points. Further the six speed cruise drive transmission helps in the smooth operation. The satin chrome plating covering most naked parts of Fat Boy Special gives royal look to the bike. The black powder coating to the wheels, engine and other parts serves as a visual treat. The most prominent and attractive features in this bike are its mini-beach handle bars and lowest seating height. 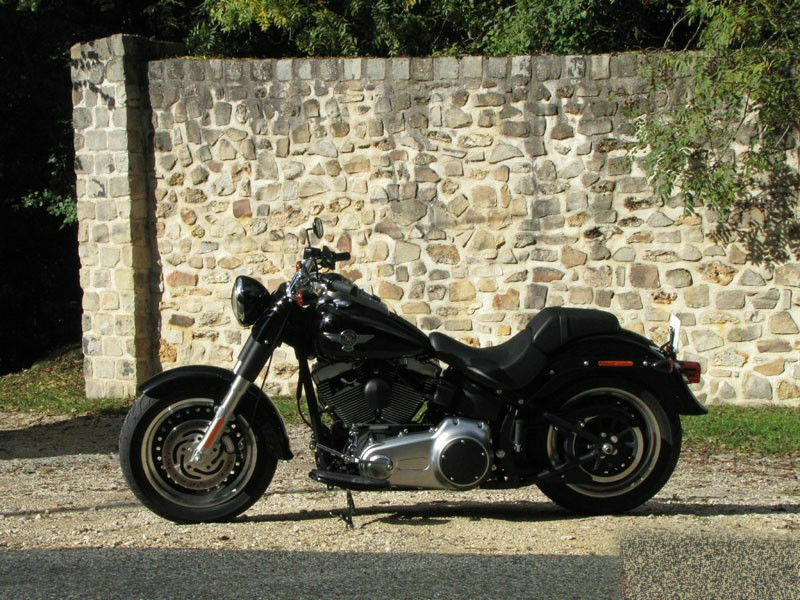 In fact the seat height provided by this vehicle is the lowest in Harley Davidson family and this assures greater comfort even for long drive. The Fat Boy Special is a trendy cruiser stuffed with all the latest technology to meet the growing demands. The suspensions used in the bike are very appealing. The front and rear suspension are dropped 3 centimeters making it perfect for its lower seating position. The fat and broader tyres of the bike help for the smooth, trouble free ride. The steering and braking system of the vehicle are extremely good thereby assuring great road grip. Harley Davidson Fat Boy special gives the mileage of about 15 to 18 Kmpl. The ex- showroom price of Fat Boy Special is about Rs. 19,95,000. The colors available in this bike are vivid black, big blue pearl, brilliant silver pearl and black denim.